For years, Southern Europe has been embroiled in a debate over the usage of the name Macedonia. The Republic of Macedonia has claimed the name since the fall of the Iron Curtain in 1991, but the nation of Greece has opposed the usage, claiming that Macedonia refers to the region in the north of the country. This summer the two sides found a compromise, with the Republic of Macedonia offering to rename itself North Macedonia pending a national referendum. In exchange, Greece promises to withdraw its objection to the accession of the new North Macedonia into NATO. Currently, joining NATO requires a country to meet a standard of economic, military, and social standards, as well as uniform support for enlargement. Despite the support for the initiative, which has drawn the encouragement of German Chancellor Angela Merkel and NATO Secretary General Jens Stoltenberg, United States Secretary of Defense James Mattis reported this week that Russian operatives have attempted to influence the outcome of the referendum on the name change, which is set to occur on September 30. Russia opposes Macedonia’s potential accession to NATO, a collective they see as opposing Russian interests in Eastern Europe. NATO has been one of the staunchest defenders of an independent Crimea, even despite Ukraine not being a full member of the group. Mattis comes at a time of high tensions in Macedonia. On the day of Mattis’ arrival, protests occurred on both sides of the issue. 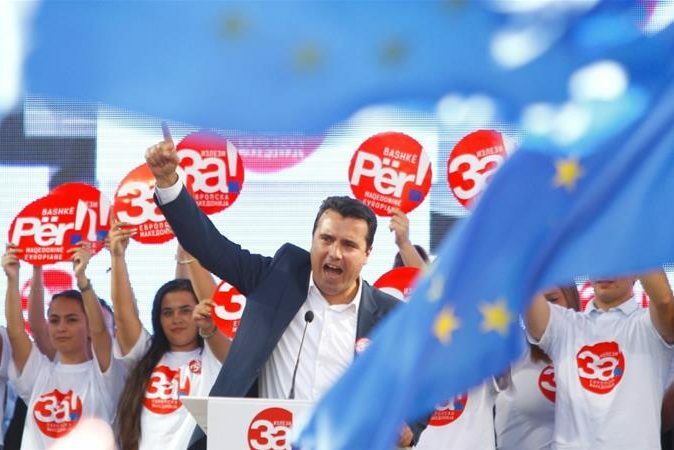 Pro-NATO demonstrators, including the President of Macedonia, Zoran Zaev, were seen at a march in the capital, Skopje, while a much smaller opposition party, the VMRO-DPMNE, held a rally in the small town of Stip. Both Greece and the United States have taken measures to prevent Russian meddling in the upcoming election. Greece expelled two Russian diplomats in July and barred the entry of another two Russians whom they believed to have ties to misinformation campaigns. Meanwhile, the United States provides some $5 million USD to Macedonia annually and has promised another $8 million USD to fight disinformation in the country, although the latter part of that aid has yet to arrive. The response from Russia has been as expected. The nation denied its involvement in the forthcoming referendum and has condemned the expulsion of its diplomats from Greece. Misinformation or not, the election will still be close. The election requires not only a majority of votes in favor of the name change but also at least a 50 percent turnout. Predictions state that voters will approve the measure, but turnout is uncertain.